Need to write a business plan and don’t know where to start? Click the image to go to manufacturer’s site for more info. “Ultimate Business Planner” is a Windows based software tool that significantly eases the burden of writing a formal business plan. It guides you through each business-planning step quickly and easily. Easy-to-use, step-by-step approach makes business planning fast and simple. Includes over 1,000 indexed business plan samples and 25 complete sample plans to help you get started. Comes with hundreds of business start-up resources. In minutes you’ll easily create projected P&Ls, Cash Plans, Balance Sheets, Financial Ratios, and more! Walks you through every step with “plain-English” instructions, advice and how-to hints. Your created business plan can be reviewed by your SCORE counselor by bringing a printed or digital copy of it to our offices. 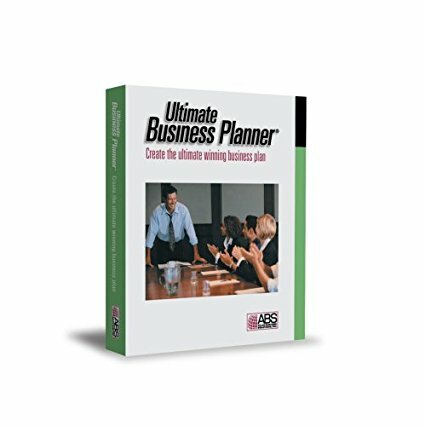 The “Ultimate Business Planner” is available directly through us! and we’ll have it shipped out to you within 2 business days! with your Visa or Mastercard.